Suburban Pharmacy Long Term Care offers a unique solution for our clients working in group home agencies. Medication management is made easy with our monthly cycle fill (routine medications), automatic refill (inhalers, eye drops, etc. ), and PRN reminders. 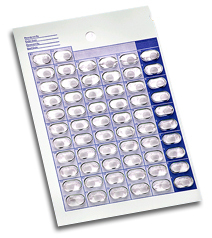 Each medication is individually packaged (one dose per bubble) in blister packaging. Routine maintenance medications (pills taken at regular scheduled times every day) are provided on a 28-day monthly cycle fill, there is no need to call in your regularly taken medications. 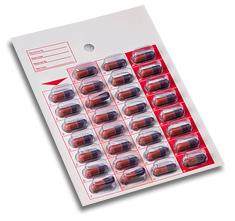 Over-the-counter (OTC) medications can be included as part of the blister regiment if your agency determines to do so. Refill authorization is obtained by the pharmacist prior to the medication expiring. All inhalers, liquids, patches and nasal sprays will be automatically delivered per insurance guidelines. PRN reminders – One of our staff members will check with a caregiver once monthly to review the current list of PRN medications, and place any refills if necessary.